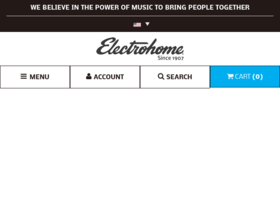 Use this coupon code today on the Signature Record Player System from Electrohome.com and Save $20 - Shop Now! Sign up with Electrohome for a special $10 discount coupon for any order. Shop sale at Electrohome to save up to 60% off select products. Check out Electrohome online for their latest special offers.